Get Him Something He'll Really Love this Valentine's Day — OK, I'll Give You My Opinion! Ok, first of all, how is it already almost Valentine’s Day?! I don’t know about you, but I’m still having jet lag from the holidays! So after months of trying to find the perfect gifts for everyone on your holiday list, it’s that time again to spoil that special someone in your life. I’m not complaining, but Donnie is the best gift giver I know, and I’m always struggling to find him something just as amazing (not that it’s a competition or anything lol!). Well I remember him mentioning a couple times about wanting a new watch, and I immediately thought of JORD’s Wood Watches! If you haven’t heard of them, they’re the coolest watches out right now for men and women, and I’ve been eyeing them for awhile. 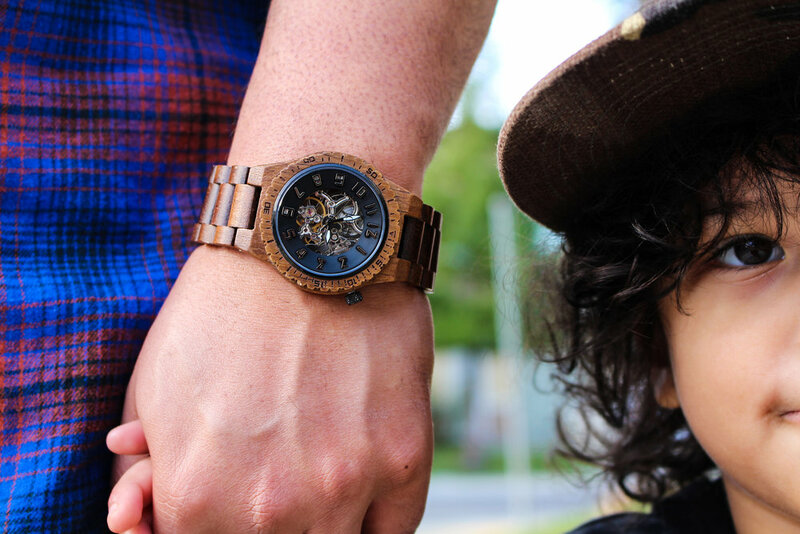 All of JORD’s watches are made with 100% sustainable natural wood and sapphire crystal glass. I picked out this gorgeous Koa Wood Watch with black details, and a skeleton face for Donnie. I mean, have you seen this watch?! I’m definitely getting bonus points this Valentine’s Day! And if you’re reading this, today is your lucky day! I’ve teamed up with JORD Watches to give one lucky winner $100 gift card towards your own wood watch, and everyone who enters gets 10% off their entire purchase!! The giveaway will close 02/11/2018at 11:59pm. Both the $100 and the 10% off codes will expire on 02/25/2018. Want to personalize your watch or add a special message engraving? You can add a customized design, logo, or upload your handwritten script to the backplate and presentation box.